Unrest in France at a rise in fuel prices highlights how the necessary transition to a clean economy must be carefully managed. The principles of corporate change management stress that, although transitions must start at the top, the real change needs to happen at the bottom. 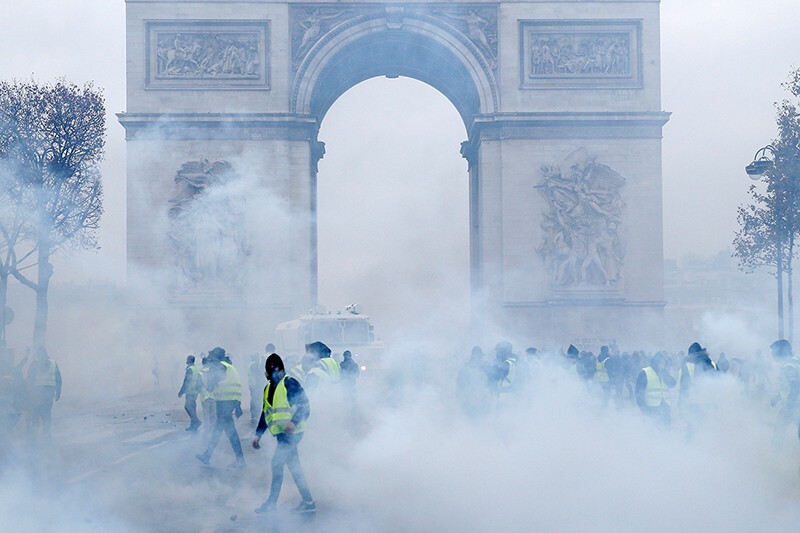 That’s a lesson that French President Emmanuel Macron perhaps wishes he’d remembered as protestors rioted in the Paris streets over the past few weeks against a planned new green tax that would have made fuel more expensive. The movement has some support from economists, who tend to view the blanket introduction of such green taxes as regressive: the poorer people are, the greater the proportion of their income they spend on basics such as fuel, and so the heavier they find the burden when those goods are taxed. Hence the French ‘Yellow Vest’ protestors have complained — with some justification — that the new fuel tax places an unfair demand on those who can least afford it. Events in France highlight the need for the ‘just transition’ that environmentalists and researchers have been pushing for a long time: smart climate policies must be fair, addressing both opportunities and inequalities. In the long term, the benefits for humanity of a societal shift away from fossil fuels and towards cleaner sources of energy will far outweigh the costs. But the transition could have severe implications for some sectors, regions and countries. Poorly managed, it could result in loss of income, opportunity and future prospects for some workers and communities. So — and this is a question being discussed at the United Nations climate talks in Poland this week — how can it be managed well? Investment in renewable energy is making great strides and the cost of wind and solar energy is falling fast. But it is inevitable that the cost of fossil fuels in many applications will have to rise to force the pace of the transition to a cleaner economy. The surest way to do this is through some kind of carbon tax. (Global politics has turned firmly away from the other major route, a cap-and-trade system.) And one way to make a carbon tax more palatable to the taxpayers is to give them the money back. That’s essentially what Canada plans to do. Starting next year, Prime Minister Justin Trudeau’s government will introduce a national ‘fee and dividend’ scheme that will place a levy on the carbon emissions of fuels and other products, but then refund the money to individuals and companies through tax rebates. Most residents and businesses in Ontario, Saskatchewan, Manitoba and New Brunswick — the four provinces subject to the federal tax (other states have introduced their own versions) — will receive refunds that, the government says, will be greater than the carbon tax paid by the average family. According to the government’s estimates, some 70% of people will get back more in dividends than they pay in new tax. Only those that use a lot of fuel will end up out of pocket. It’s a bold move and one that will help to determine whether Trudeau remains in office after the general election scheduled for October. The introduction of the French tax has now been suspended for six months, to give officials more time to ponder their response. Governments and policymakers elsewhere will be watching with interest. So will environmentalists and economists. If the question for the twentieth century was about the role of people in causing climate change, the conundrum now lies in finding a politically acceptable way to persuade or compel people to take the required action to reduce emissions.